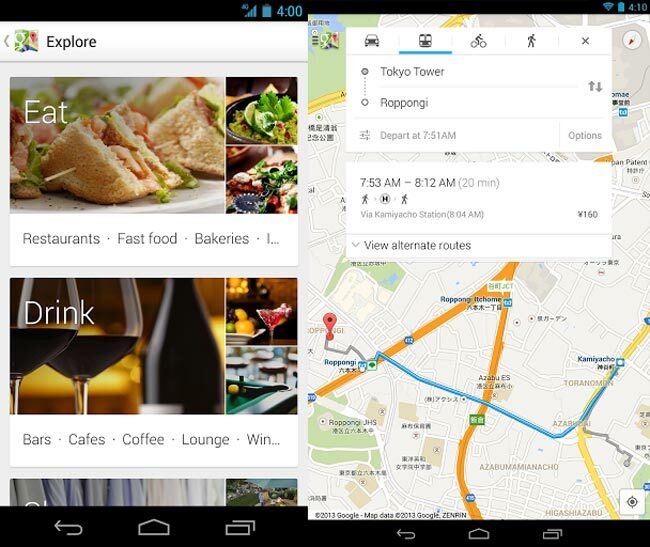 Google has released a new version of their Google Maps for Android app. The update Google Maps for Android comes with a range of new features. The latest Android version of Google Maps comes with a new design for smartphones and tablet, plus enhanced navigation with live traffic updates, you can see what is included in the update below. *This update will be gradually rolling out to Android 4.0.3+ users over the next few weeks. Users with Android versions below 4.0.3 should visit http://goo.gl/5AMJS to find out more about the Google Maps app available to you. Google have said that the new Google Maps for Android will be rolled out in phases, the update will work on devices running Android 4.0.3 and above.